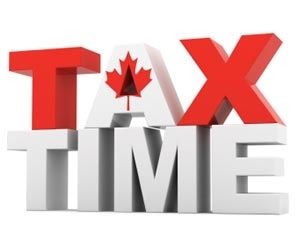 It’s tax time again and this years’ deadline is April 30, 2019. As this date draws close, I have included some of the new tax tips and deductions available to Canadians on the back pages of this mailing. Most income tax and benefit returns are due on April 30,2019. Self-employed individuals have until June 15,2019 to file their returns. Since June 15 falls on a Saturday, the CRA considers your return to be filed on time if it is postmarked on June 17. However, if you have a balance owing, you must pay it by April 30. From now until April 30, the CRA will be offering extended hours for individual tax enquiries. Approximately 3,000 telephone agents will be available Monday to Friday (except holidays) from 9am to 9pm, and from 9am to 5pm on Saturdays (except Easter weekend) to serve as many people as possible. This automated service will remain available 24 hours a day, 7 days a week. By February 11, the CRA will have mailed the income tax package to individuals who filed on paper the previous year. The new all-in-one 2018 income tax package is improved with simplified language, enhanced information on forms and has a more user-friendly design. If you did not receive this, and you file by paper, please call CRA: 1-800-959-8281. In addition to the mail out, a limited quantity of tax packages will still be available at Canada Post and Service Canada locations. Canadians will also find information to order these products by phone: 1-800-959-8281. Lastly, please do not hesitate to contact my office if you have any questions and we’ll get you the information. Call my team at 519.255.1631 or e-mail brian.masse@parl.gc.ca. Stay in touch!